Get ready for another adventure with everyone's favorite smuggler! 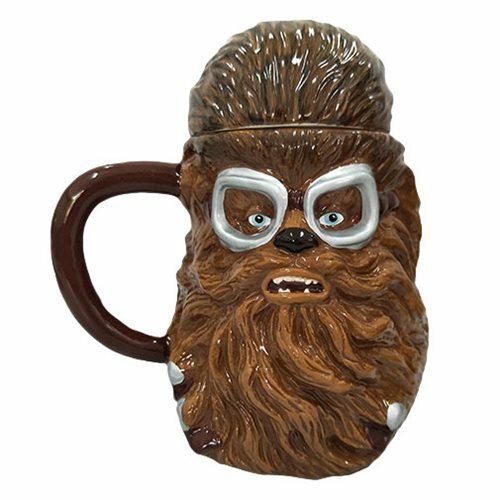 Raise a toast to Solo: A Star Wars Story with this Star Wars Solo Chewbacca 20 oz. Sculpted Ceramic Mug. This mug is custom sculpted and beautifully crafted to make it a unique collectible. Microwave safe, hand wash recommended. Ships in a full color gift box. Ages 14 and up.